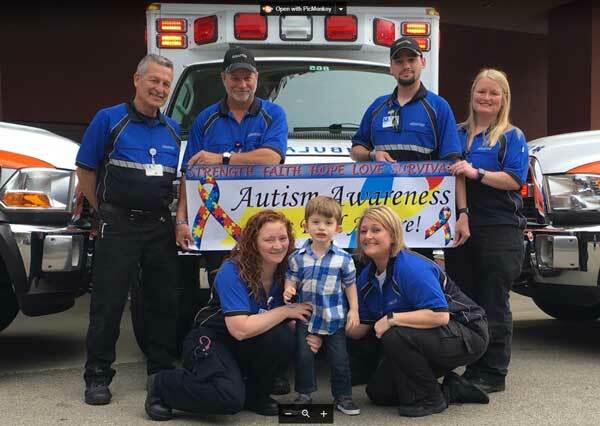 Charlie, with friends at Baptist Priority- New Albany Ambulance on Autism Awarenes Day. 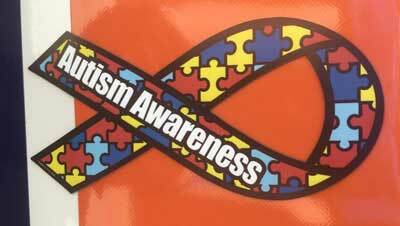 Today is Autism Awareness Day. So today we at Baptist Priority-New Albany decided to celebrate our sweet Charley!! Charley is the son of Tracie Dabney, who is one of our EMT’s. here in New Albany. So today all our front line ambulances in New Albany have Autism magnets on them and we are proudly showing off our Autism Awareness bracelets in the picture! With all the bad in the world…..we just wanted to share a little bit of this good we have in New Albany!